IRISH FISHING TRAWLERS will be used to remove plastic waste from the oceans by the end of 2019, according to Minister for Agriculture, Food and the Marine, Michael Creed today. Creed called for all Irish trawlers to get involved in the Clean Oceans Initiative by the end of this year. The plan is to have all Irish fishing trawlers removing plastics from the ocean every day, “as they go about their activity at sea”, Creed said. The Minister wants to facilitate fishermen to “bring this waste home from their fishing trip”, is making funding available under Ireland’s European Maritime and Fisheries Fund (EMFF), to provide storage facilities on board the vessels. These on-shore facilities will also be available for fishermen to dispose of unwanted fishing gear and other items with plastic content. Creed has asked BIM — the Seafood Development Agency — to put together a team of stakeholders — fishermen, fish farmers, net makers, harbour authorities, fish processors, community groups, Fisheries Local Action Groups (FLAGs), academics and NGOs – focusing on prevention and removal. 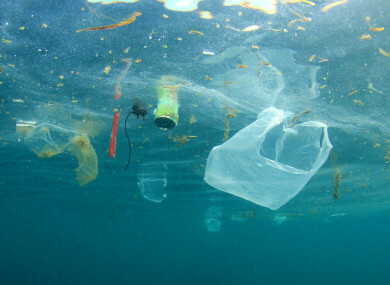 “Contamination in the marine environment is not a new phenomenon, and up to 80% of marine debris is made up of plastics,” said the statement. Global production of plastics hit 335 million metric tons in 2016, and while they don’t biodegrade, they photo-degrade, meaning they break up into tiny particles over time. Research into the extent of the risks posed to wildlife from waste plastics is welcome, the statement said, but “we cannot afford to delay remedial actions”. Email “New plan to use Irish fishing trawlers to remove plastic from oceans ”. Feedback on “New plan to use Irish fishing trawlers to remove plastic from oceans ”.